This picture is from Avenue B, but I saw this on other streets too. The snow and ice from this past Winter packed the soil around the trees, making it difficult for much needed rain water to penetrate, so City workers were sent out to fix this. 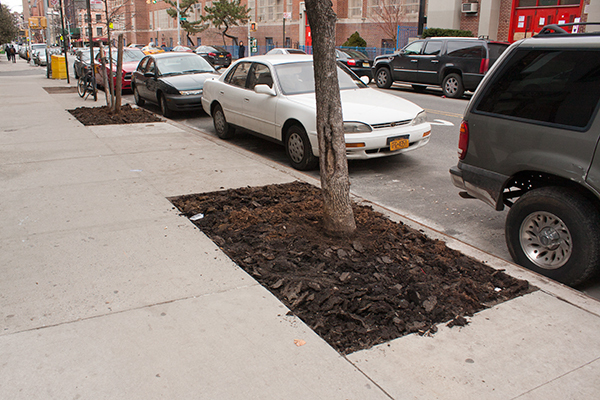 Letting a thousand trees bloom… in the East Village Today! was it truly city workers who did that? or was it homesteaders doing their spring plowing? Ha ha! That would explain the mule I saw!